Stainless steel is a not a single material but the name for a familiy of corrosion resistant steels, created by adding significant amounts of chromium to a steel alloy. Many different stainless steel alloys exist commonly reffered to by the grade numbers - e.g 304, 306, 316, 316L which determine the mechnical and corrosion resistance. The corrosion resistance and durability of stainless steel make it an ideal choice for process industrials and a wide range of architecural applications. Stainless steel is a challenging material to metal spin due to its work hardening properties, so careful attention to the choice of material grades, thickness and design parameters are needed before implementing a design. 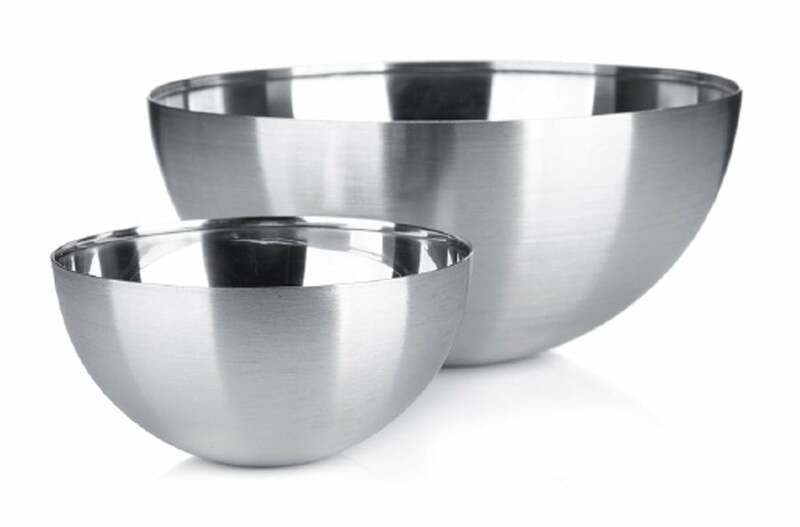 Spun stainless steel is used extensively for process hoppers, mixing bowls and chemical tanks.